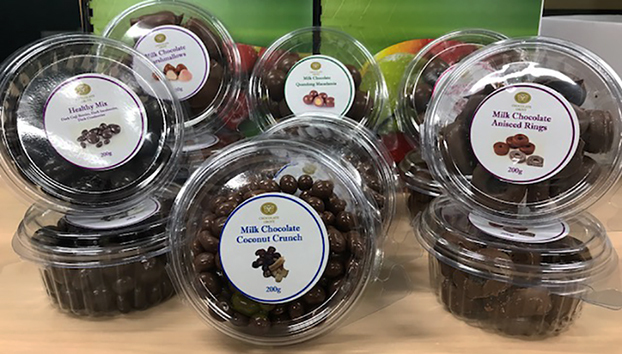 Chocolate Grove creates innovative chocolates and has been in operation since 1987. Chocolate Grove love creating new and innovative products. 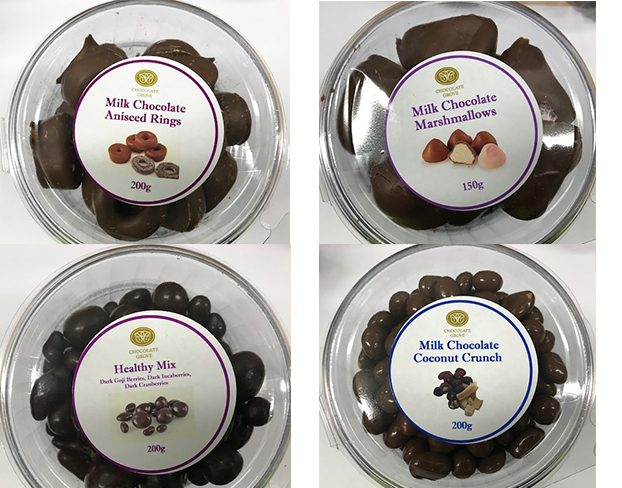 They coat nuts, confectionery, fruit, ‘super foods’, (and any other tasty ingredient that takes our fancy) using the finest quality chocolate. Old favourites including Choc Coated Marshmallows, Aniseed Rings and Coconut Crunch. Delicious Aussie Bush Flavours of Quandong & Macadamias, and Rosella Macadamias. And NEW Healthy Mix with Dark Chocolate Coated Goji, Inca and Cranberries.